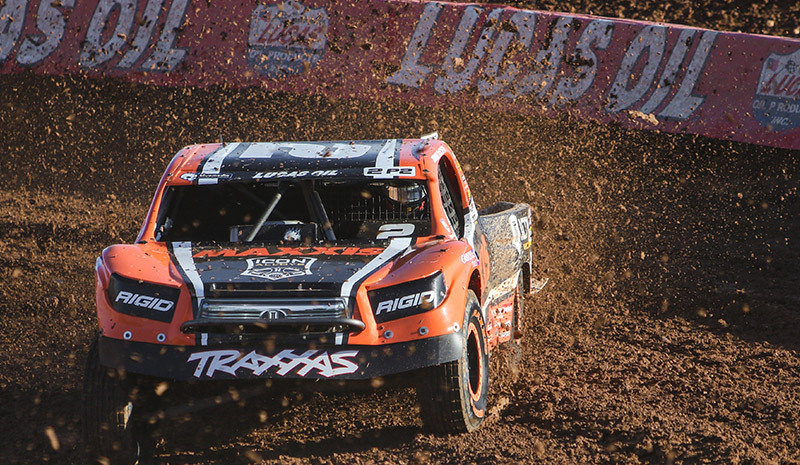 The Lucas Oil Off Road Series finals took place Sunday Oct 23rd in Chandler AZ. The JM2 team finished out the year very strong with both Jeremy and Brock standing on the podium. Jeremy started the Cup race in 5th place in the Pro 2 field. The Pro 4 drivers were staged behind them about 15 seconds. 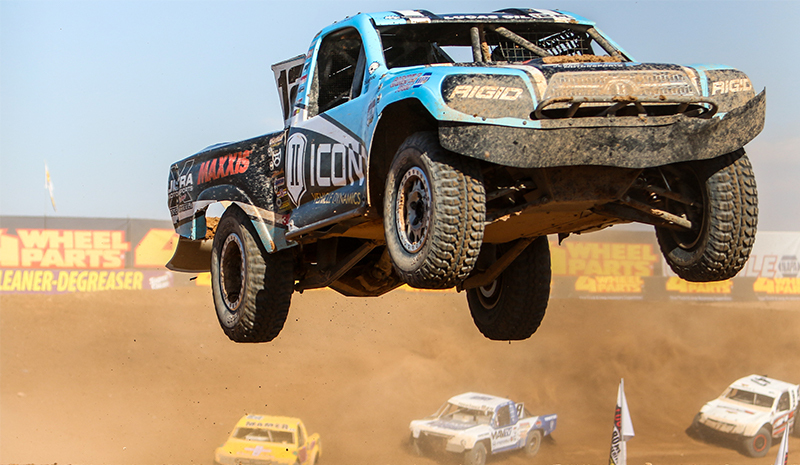 After 18 laps of intense racing on a completely destroyed and dusty track the #2 Maxxis Tires, ICON Vehicle Dynamics Pro 2 worked its way to the front and finished 3rd overall. 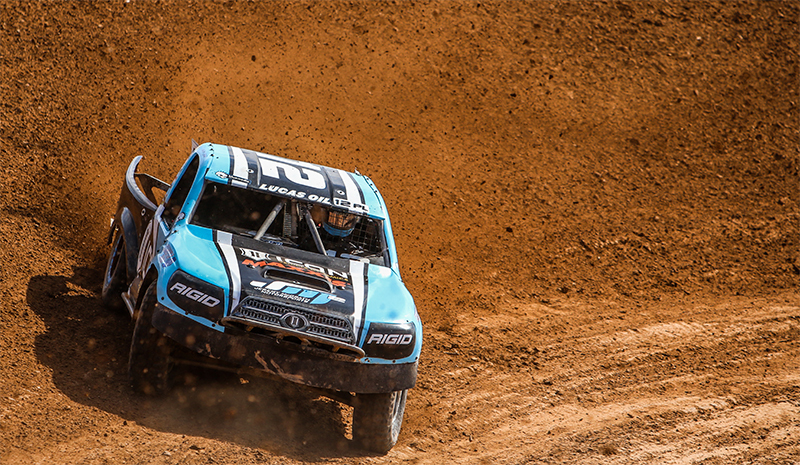 “That was such a fun race, you never can predict how it’s going to play out with Pro 4 trucks on the track. You just have to take it one lap at a time. My Maxxis tires were hooked up and my truck was fast. I’m stoked to be on the box today with RJ Anderson and Kyle LeDuc.” Jeremy said on the Podium. JM2 Pro Lite driver Brock Heger had a great day on the track as well. Brock Qualified 1st and started on the front row. He lost a few positions on the first lap when his truck went sideways on a muddy track in turn 3. 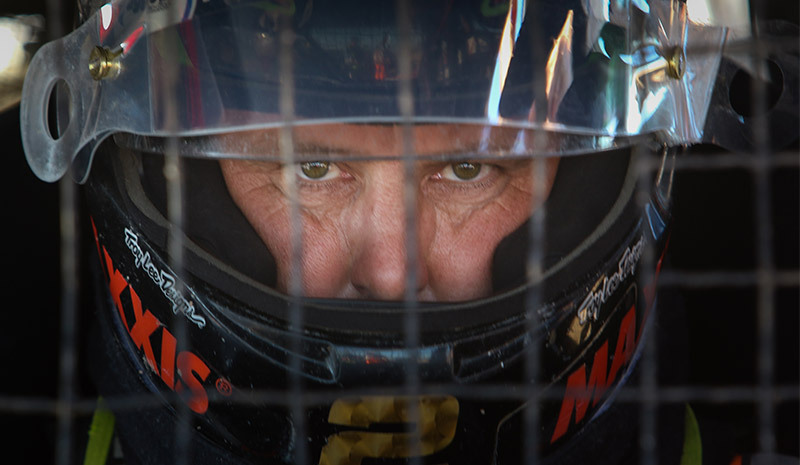 The #12 ICON Vehicle Dynamics driver set his sights on the leader. After 16 laps Brock had made his way to the front and was able to secure a 2nd place overall in the cup race. The season was officially over and the JM2 team headed to the Lucas Oil banquet to celebrate. The final award of the night was team of the year. Our fellow drivers voted Jeremy McGrath Motorsports best team of the year. It was an honor to receive the award and very appreciated. Jeremy, Brock, and the JM2 team would like to thank Maxxis Tires, ICON Vehicle Dynamics, Carlyle Tools, ICON Alloys, Bluemedia, Rigid Industries, AIRAID, Traxxas, 3M Wraps, Gibson Exhaust, Rugged Radio, FK Rod Ends, Lucas Oil, Toyota of Escondido, DC Power, Trick Tools, Makita, Lincoln Electric, Vic Hill race engines, Motive Gear, Alpinestars, Kawasaki, Wienerschnitzel, Easyturf, Attitude toy haulers, Matrix, Kicker, CBR, Goodridge, Quikroc Racing and Lake Elsinore MX park. JM2 will be racing the Lucas Oil Off Road Series in 2017. Follow us at www.jeremymcgrath2.com for updates and special events.